AERO PACK * ONE PRIVATE OWNER * F.S.H * READY TO DRIVE AWAY - TODAY! UPGRADE AERO PACK TOP SPEC EX MODEL. ONE PRIVATE LADY OWNER FROM NEW, FULL SERVICE HISTORY, LONG MOT, 12 MONTHS COMPREHENSIVE NATIONWIDE WARRANTY AND 12 MONTHS AA BREAKDOWN COVER - READY TO DRIVE AWAY - TODAY! JUST ARRIVED! 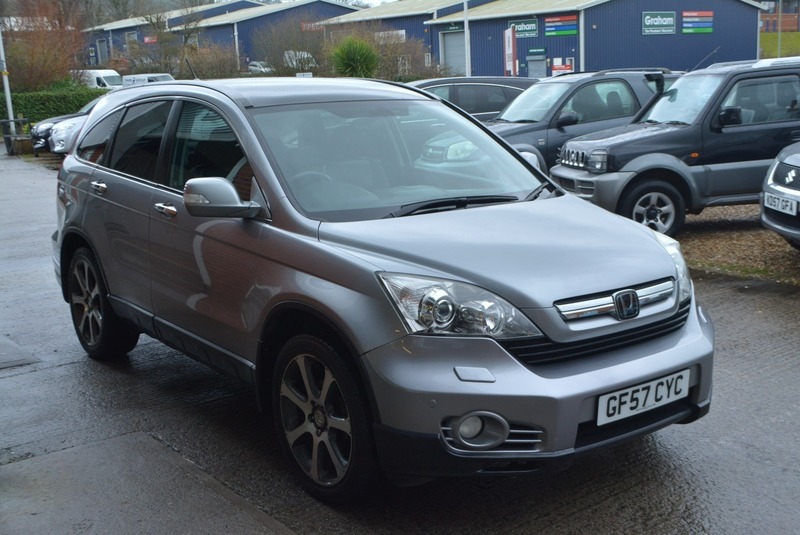 Here we have a stunning HONDA CR-V EX i-CDTI 2.2L DIESEL MANUAL 5 DOOR 4X4 in Whistler silver metallic with the upgrade Aero pack and full back leather interior in superb condition throughout. this one lady owner example, having been previously registered at Honda as their demonstrator, due to the higher spec, comes with full service history at intervals of 13k, 22k, 30k, 39k, 46k, 50k, 57k & 78k having now covered 83,000 miles. Coming fully equipped with the aero pack featuring upgrade 19" Honda genuine smoked alloy wheels, upgrade front and rear bumpers, adaptive cruise control, intelligent distance control. Not to mention the standard EX features including a panoramic glass roof with electric blinds, satellite navigation system, full colour reversing camera and park assist sensors, detachable 13 pin towing equipment, climate control air conditioning, electric windows, am/fm stereo with front loading cd player, integrated bluetooth telephone connectivity, electric mirrors rear privacy glass and two fully remote keys. NOT TO BE CONFUSED WITH OTHER EX MODELS AVAILABLE, THE UPGRADE AERO PACK IS VERY RARE AND REALLY LIFTS THE CAR - SIMPLY STUNNING!